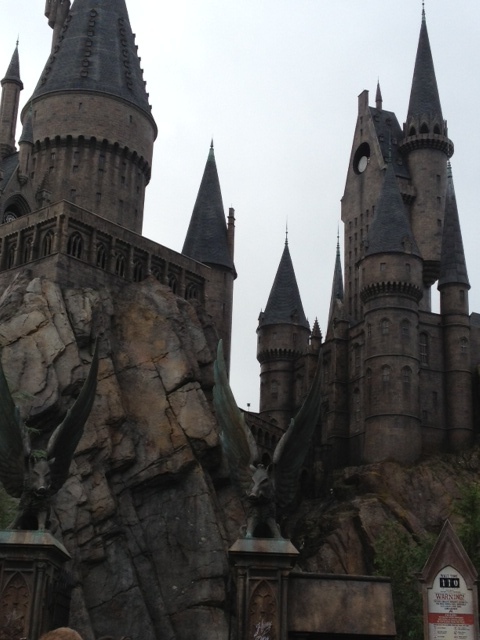 Unfortunately, there’s no Potter magic when it comes to finding foods at Universal that are no-salt, no-sugar and no-fat. Place after place we tried to have lunch at served pizza and burgers, both of which I love but neither of which I can eat any longer. 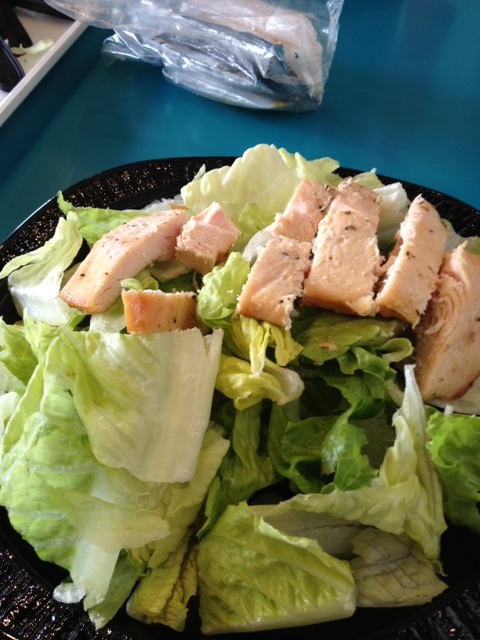 The best I could do was to order a chicken Caesar salad without the dressing. Luckily I was carrying my own oil and vinegar, as I’ve written about here. The chicken on that salad was the driest I have tasted in a long, long time. Eating it was downright painful. We returned to Universal a second day, going to the studios park, and were again greeted with no healthy food choices for lunch, only that same dried out salad again. The only bright spots at Universal were cups of fruit being sold from carts around the place. They were expensive as might be expected but at least they were unadulterated fruit that I could eat. Wow.. i didn’t know their food was like that. That’s been my family’s experience at Universal, Disney and the like… the food options are dismal if you’re trying to eat healthy. They all really need to have some fresh sandwiches and some more vegetarian options. The whole burger and fries thing, and fried foods in general, really needs to take a rest. I’d also really love to see a fresh juice bar at each of these parks! Come on Disney and Universal… update your menus for 2014! I couldn’t agree more, I saw some tiny fruit cups being sold both places and was insulted by the tokenism and the high prices for those. I did find the Disney seafood place at least willing to talk with me and make some plain salmon as I mentioned, but much more of that is needed.